This quote pretty much sums up the beauty and diversity of the state of California, the jewel of USA’s west coast. Although primarily known for the glamor of Los Angeles’ Hollywood, the rolling streets of tech central San Francisco, surfing adventures of beach cities like San Diego and Santa Barbara, the real charm of California lies inherently in it’s small towns. 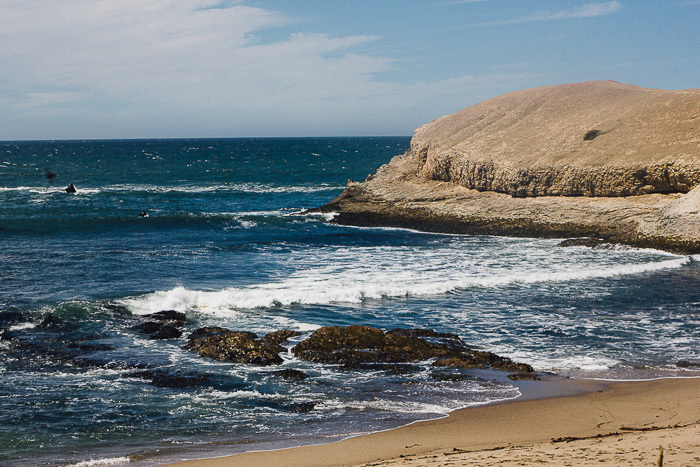 With unparalleled natural beauty, a coastline that dreams are made of and a bounty of good food and libations, these small Californian towns are perfect venues to escape to for that much needed relaxation and rejuvenation. 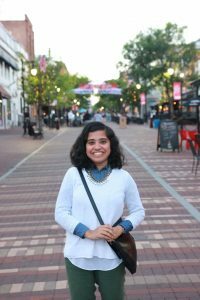 Here, in geographical order (north to south) are some of my favorite moderate to pint sized towns that are sure to evoke the wanderlust in you. Who can resist the charm of this beautiful little town along California’s famous Redwood coast, about 3.5 hrs north of San Francisco? Not only does it have beautiful beaches and majestic redwoods to boast of, but is also home to some amazing wineries, thanks to its proximity to Anderson valley, home to the grapes producing the famous California Pinot Noir. Little river, a small town in Mendocino county is a great place to stay for your outdoor adventures. 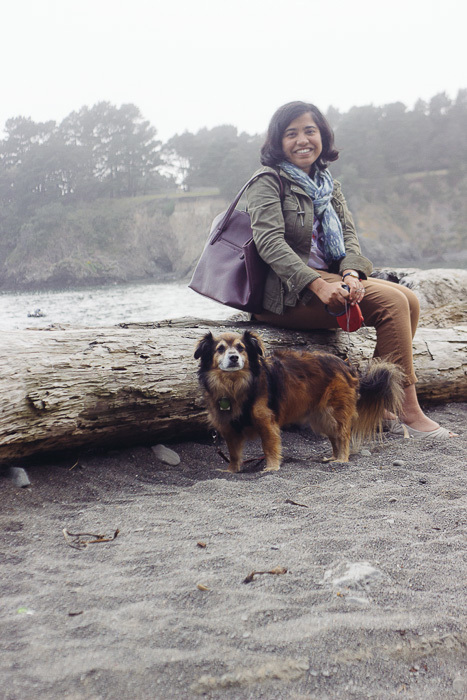 Start at Glass beach up north at Fort Bragg (named after the abundance of sea glass present in the sand) or check out Noyo Beach or Van Damme state park and beach that are excellent sandy reclines for both human and canine. Other attractions are kayaking in the Big river estuary, riding the skunk train that drives through the majestic redwoods forest all the way up to Willits and back, or seeing these giants up, close and personal at Montgomery Woods state reserve. 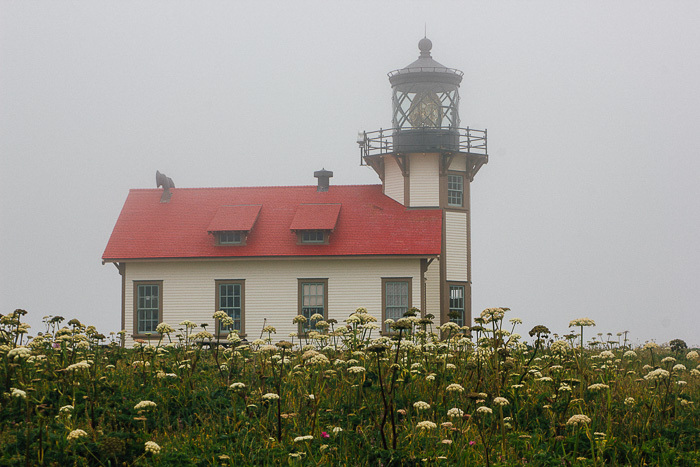 A visit to Point Cabrillo lighthouse, one of the remaining five functional lighthouses in the state, is another must. For some great food, either visit the world famous restaurant Ravens or go to Downtown Mendocino. This delightful stretch is filled with quaint boutiques and cafes, such as Mendocino cafe with a heated patio, Frankie’s serving some yummy ice-cream and Sallie Mac, filled with delightful French products! 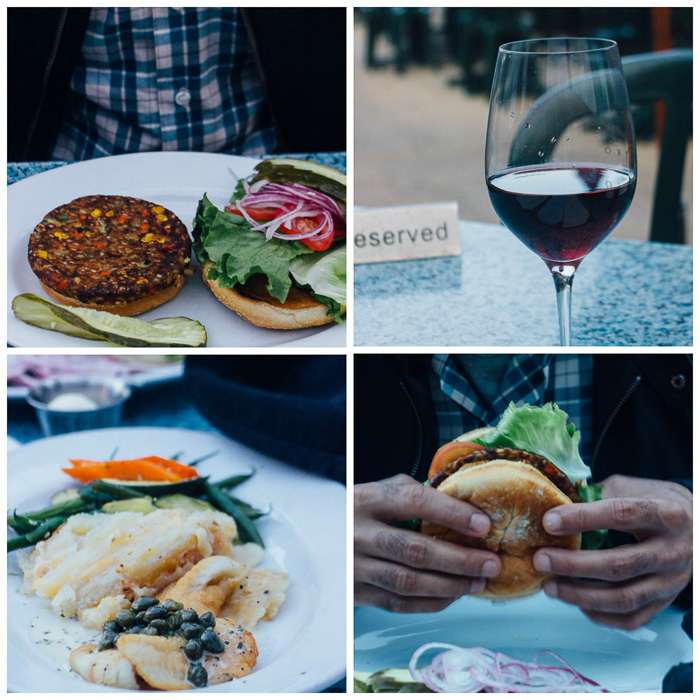 Finally, do not depart Mendocino without some wine tasting. Wineries dotted along 128 west in Boonville and Yorkville in Anderson county or those in the upper Russian River Valley around Ukiah, Redwood Valley, Hopland and Potter Valley have enough libations to quench your thirst. 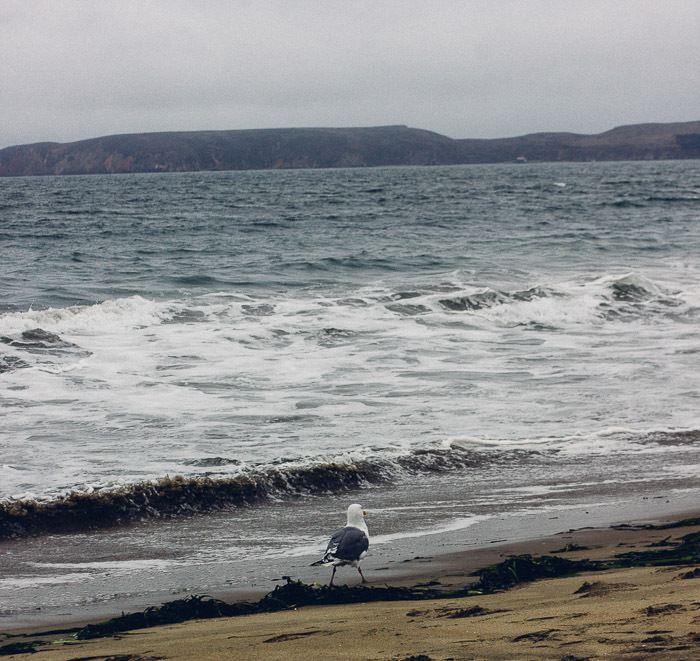 Point Reyes National Seashore is a strip of land separated by water from California’s mainland and is a federally protected area comprising of thousands or acres of wilderness and protected wildlife sanctuaries. In addition it boasts of California’s jaw-dropping coastline, beautiful beaches and stuff to fill up all your adventures on land or water. Point Reyes station is the tiny town serving this area, offering lodging and accommodation for visitors. Exploring one of the many beaches (fair warning: they are pretty cold and windy even in summer) is a must. Drake’s beach, named after the famous British explorer Sir Francis Drake, and Kehoe beach, are two of my favorite ones to visit. Next comes Chimney Rock, an enclosed area to view elephant seals. This spot is best visited in spring (Jan-March) when the wildflowers are in full bloom and the seal birthing season is ongoing. Nearby is the historic Lifeboat Station, responsible for saving many a crew members’ lives during ship wreck in this notoriously rocky and treacherous coastline. The two other must visit attractions at Pt. Reyes are the Tule Elk Reserve, North America’s only sanctuary for these majestic animals and the famous Pt. Reyes Lighthouse, the only one of it’s kind that you have to descend to, unlike most which are perched on rocks at the edge of the water. 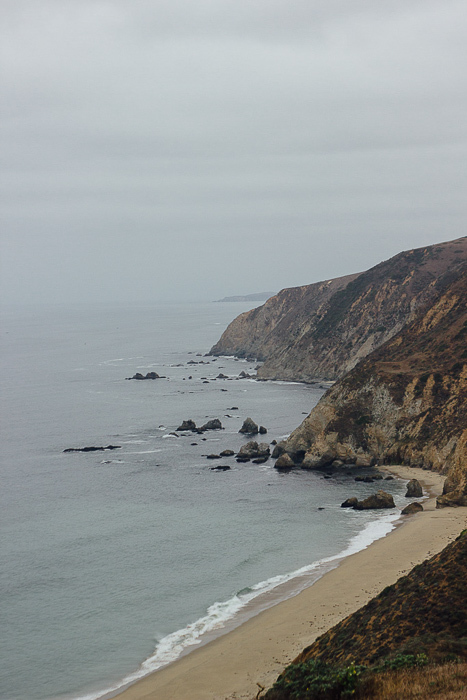 At the Tule elk reserve, you can hike all the way to the Ocean bluffs along Tomales point trail which is a mean 8 miles, taking in fantastic views of the shoreline along the way. If you are lucky enough, you might spot a few elks, although they mostly stay away from humans. 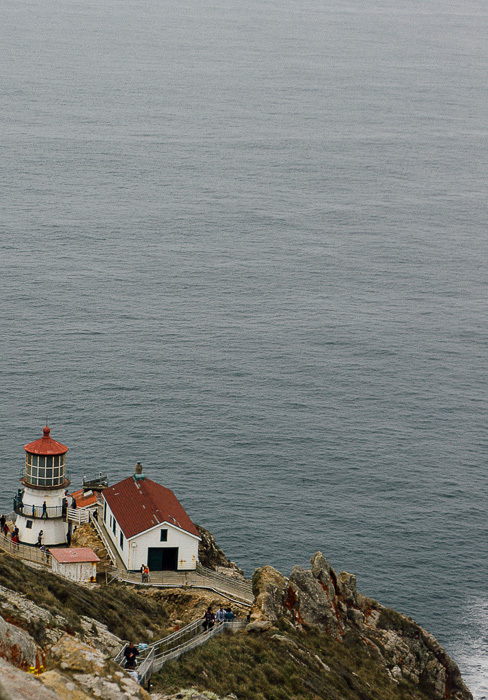 As for the lighthouse, plan your visit carefully since its visiting hours are few and it is closed from Dec-March. 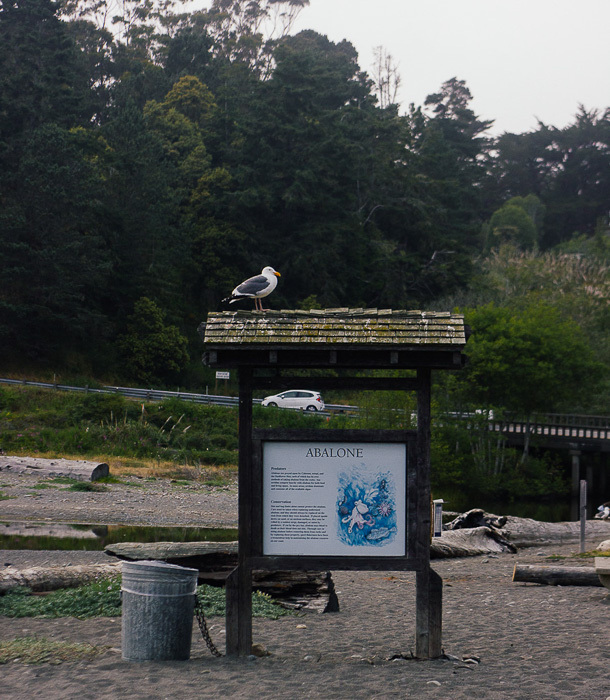 If interested, there is also a sea lion lookout point nearby that leads down Sir Francis Drake Blvd where you can catch a glimpse of them roosting in the Sea Lions Cove. Finally, do not forget to get your fill of cheese or oyster shucking at Pt. Reyes, home to some of the major creameries (such as Cowgirl creamery) and oyster farms on Tomales Bay (such as Hog Island Oyster Co.). 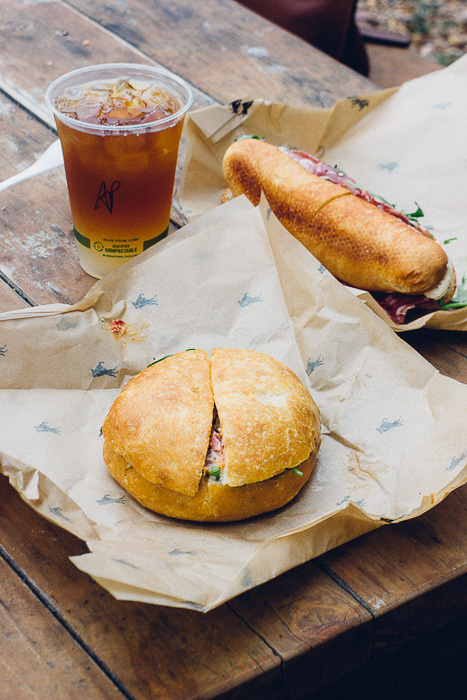 Cafe Reyes, Station House Cafe and Bovine Bakery are great eateries while Cowgirl creamery cantina is a must visit food hall to check out the best of California’s food and cheese products at Pt. Reyes station. 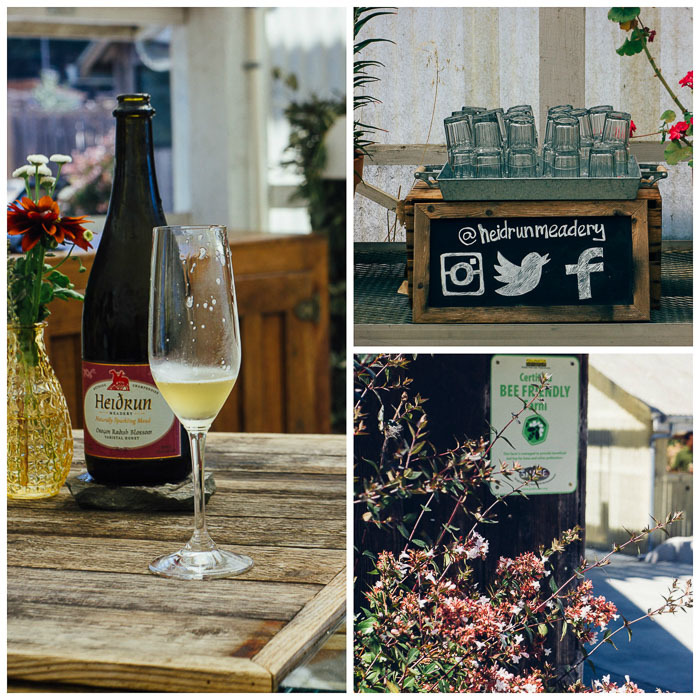 If you are in the mood for something other than wine, check out the cute little Heidrun meadery, makers of champagne style mead, or honey wine. Last, but certainly not the least, if you are in the hunt for that perfect Pt. 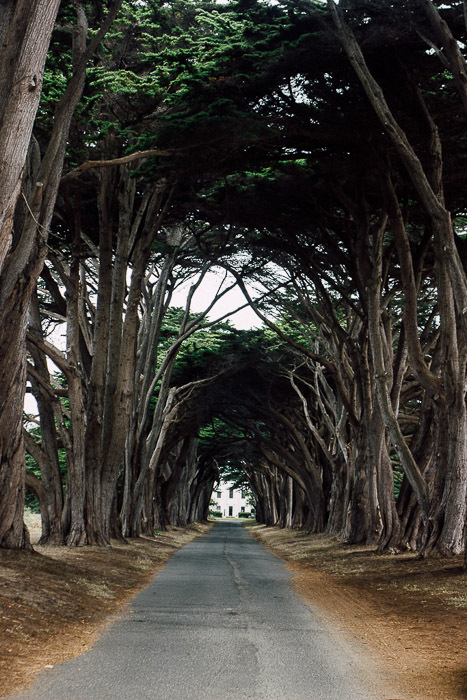 Reyes memory, get a couples shot at the Cypress Tree Tunnel, a canopy formed by arching cypresses. 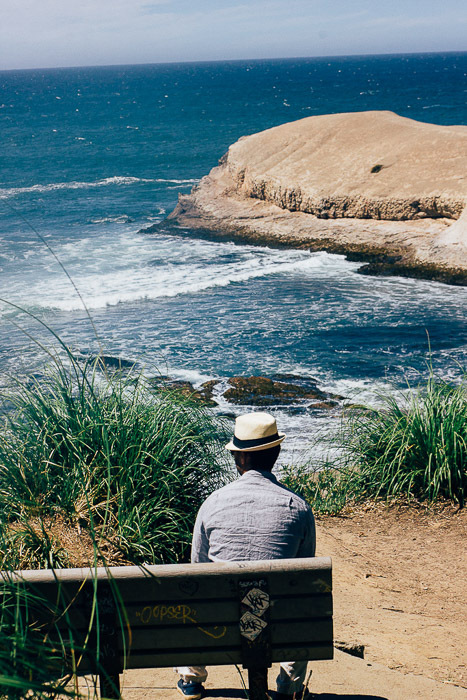 Switching gears from north of Golden Gate Bridge to way down south, the beach town of Santa Cruz is absolutely worth a visit. This tiny town offers so much more than it’s noisy and crowded boardwalk, which Bay Area folks flock to in summer. 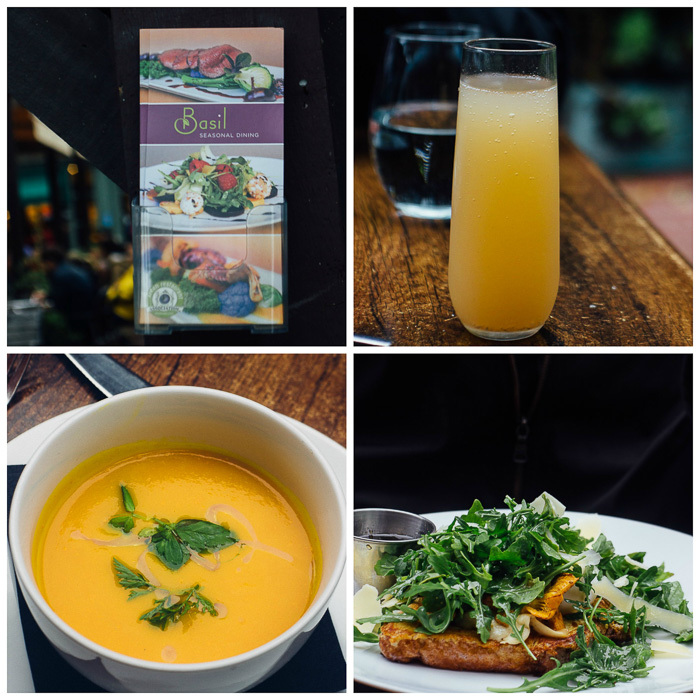 Avoid that crowd puller like the bubonic plague and head straight to Bonny Doon, a tiny town in Santa Cruz county, nestled in the heart of the majestic Redwoods and a short drive from downtown Santa Cruz. 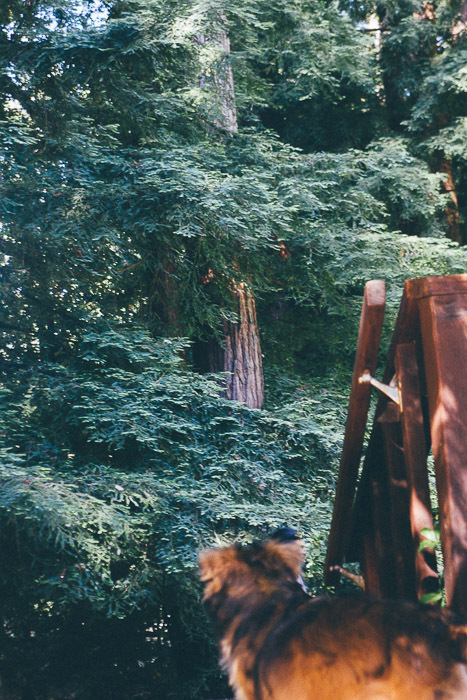 Stay at Redwood Croft Inn, a B&B comprising of rustic lodges in the heart of a lush, dense Redwood grove for that perfect retreat from the humdrum of civilization. After a sumptuous breakfast of home-made pancakes, head out straight to Greyhound Rock beach, a secluded beach where you can enjoy the crashing waves and soft sand all to yourself. 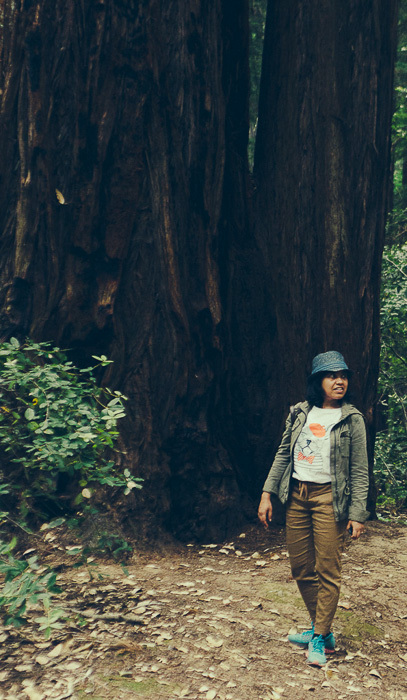 Henry Cowell Redwoods State Park, which boasts of 40 acres of some of the tallest trees in the world is a splendid spot for afternoon hiking and also has a Heritage train to hop on as a family friendly activity. 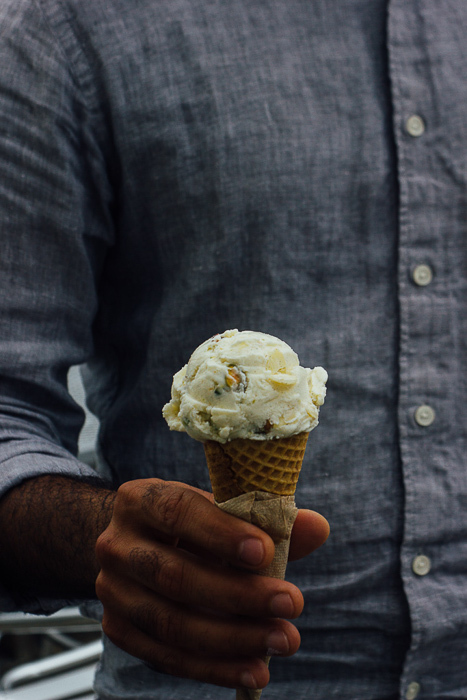 Reward yourself with some ice-cream later at Penny ice creamery, downtown Santa Cruz’s famous ice-creamery or quench your thirst at Press Juices and Sandwiches selling freshly made Brazilian cold-pressed fruit juices. Thanks to the excellent weather, you can dine al-fresco at several restaurants such as The Jerk House for mouthwatering Caribbean fare, Bittersweet Bistro in Aptos for their amazing heated patio and local, seasonal dishes with a Mediterranean flair as well as Gabriella Cafe, a tiny Italian bistro serving a slice of Tuscany right in Santa Cruz. Don’t leave Santa Cruz without tasting some of the famous Santa Cruz Mountains wines (Pinot Noir, Syrah or Cabernet) at local wineries such as Bottle Jack Winery or the beautiful Santa Cruz Mountain Vineyards. 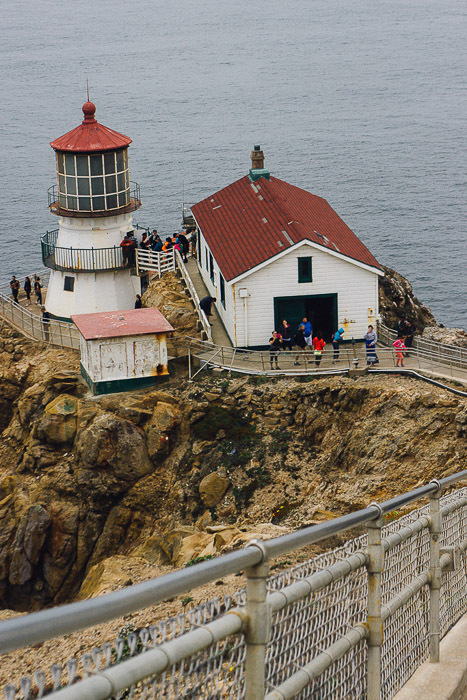 Located in California’s Monterey Peninsula, south of Santa Cruz, this city thick with European charm, is a great place to stop, relax and recharge. This beach city may be pint sized but has lots to offer in terms of outdoor activities, amazing food and wine and is super dog friendly. In fact, it is the perfect place to escape to for the July 4th weekend for pet parents since fireworks are banned in the city. 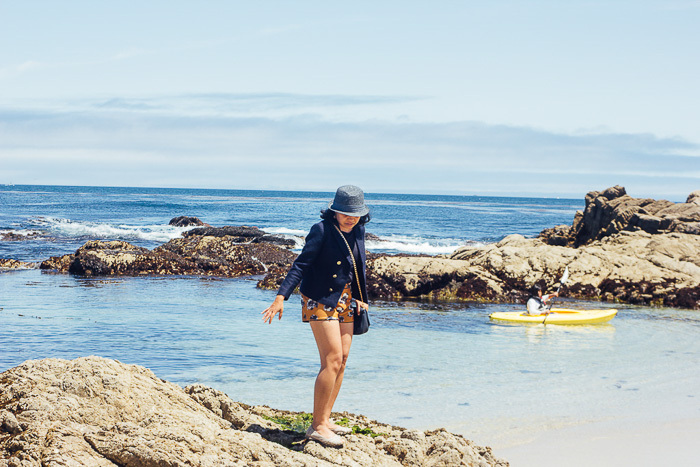 We’ve visited Carmel twice and have been blown away by its beauty, hospitality and old world charm. If you want to indulge yourselves in the silken lap of luxury, the Cypress Inn, built by yesteryear’s actress Doris Day, is the perfect place to stay. Right in the heart of downtown Carmel, this centrally located Inn also has a great restaurant with a heated outdoor patio. 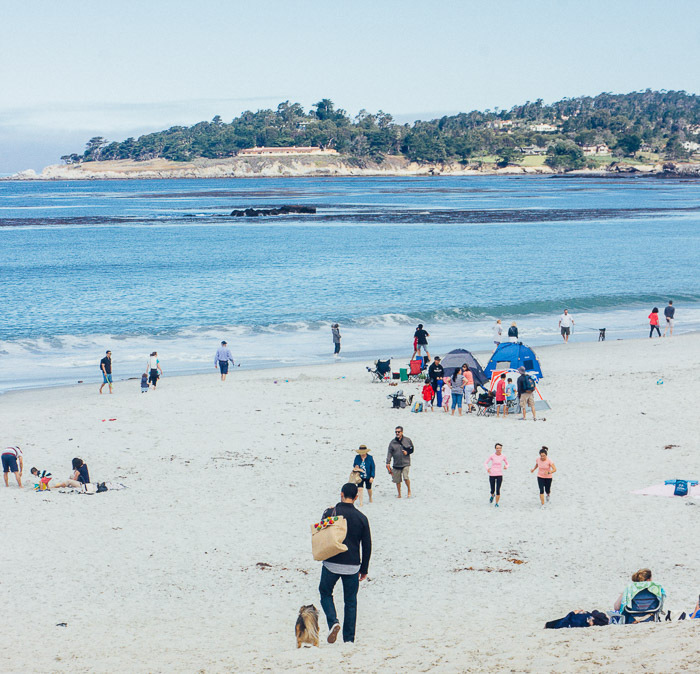 Carmel beach, a popular destination is a short walk away where you can spend a relaxing morning. 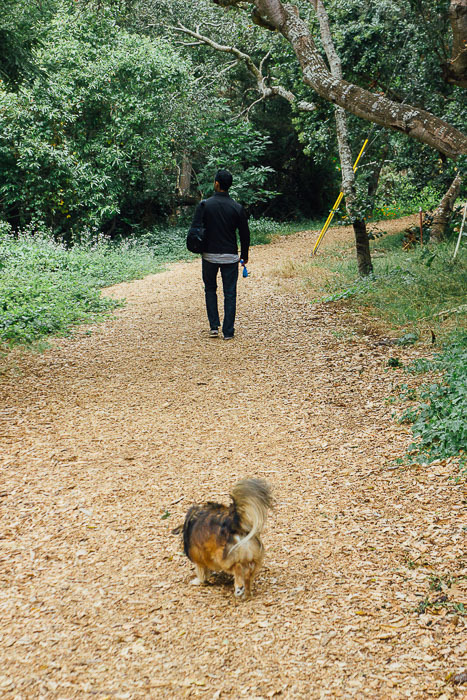 For hiking enthusiasts, the leafy Mission trail park and Nature preserve is a nice, quiet place with an easy trail to enjoy a leisurely hike. South of Carmel lies another fantastic beach at Garrapata state park, which is not crowded at all. 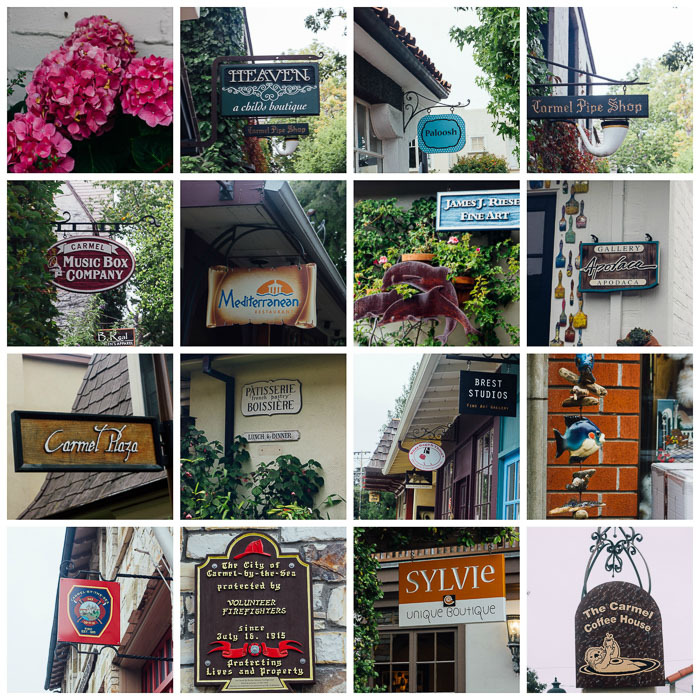 A stroll through downtown Carmel is a must since it boasts of lots of beautiful alleyways, cute stores and amazing restaurants to explore and dine it. 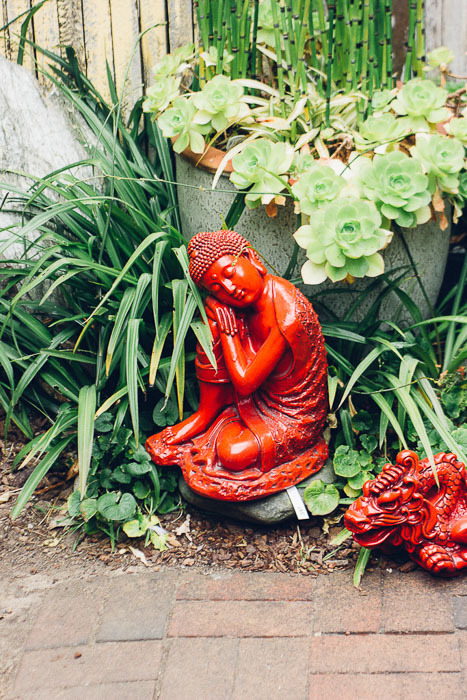 Spend some time marveling the statues at the “Secret Garden” next to Carmel’s only book-store, order some yummy tapas at Mundaka, lipsmacking lunch at Basil or Casanova or stuff yourself with delicious pasta at Carmel Bistro Giovanni. Finally, get some wind in your hair on the famous 17 mile drive, a scenic loop between Carmel in the south and Monterey in the north which is dotted with famous beaches (Pebble beach), lookout points and the Lone Cypress, a famous western icon and one of the most photographed trees in America. 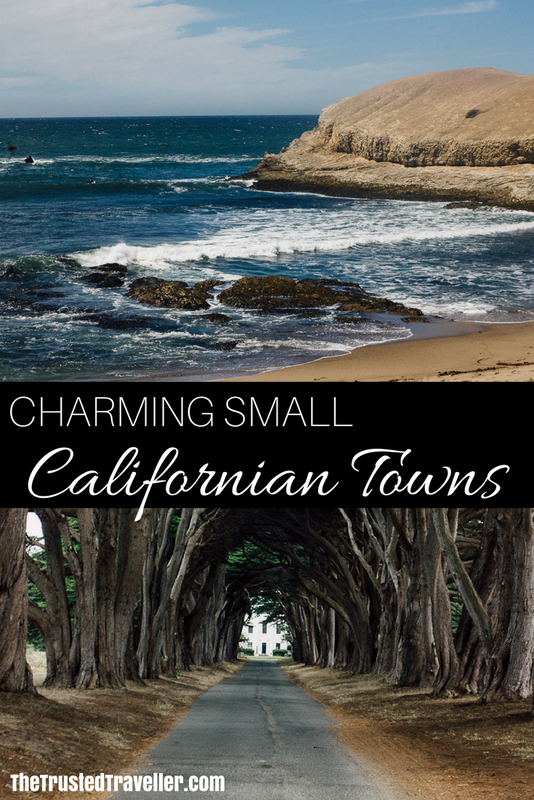 I hope this post has given you enough fodder to ditch the glamor of big cities and head out for some old world charm of small town California. For more travel adventures, you can follow me at yrofthemonkey.com, my blog on travel, food, pet-friendly destinations and San Francisco life. Follow Paroma on Facebook, Instagram and Pinterest. 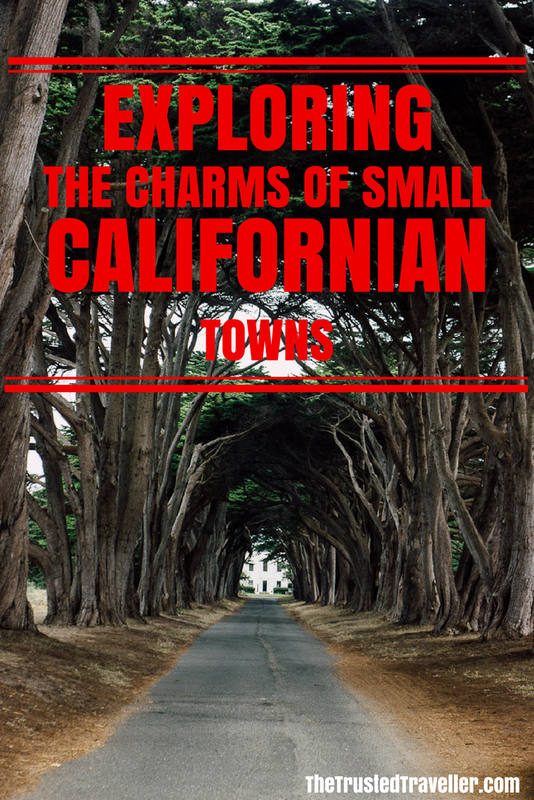 Which of these small Californian towns would you most like to explore? Any you would add? I love California and its variety of landscapes – from organised and structured to wild and unexplored. One of my favourite road trips through California is along Tioga Road, which gives gorgeous views of Yosemite.